Out of the blue, a customer walks into your establishment as you suddenly find yourself on the receiving end of rudeness. How can you manage that situation? How can you calm your customer down, repair the damage and build bridges with that person who is crucial for the success of your business? How can you prevent such a situation from ever happening again? Retaining a valuable client is more important than justifying your actions. To some extent or other, we all deal with clients at some point or other, and customer service is everyone’s responsibility within a business. Let’s have a look a few strategies to deal with awkward and difficult clients while handling the aftermath and still retaining their business. What’s the difference between rude and unhappy customers? Whenever a customer is unhappy about the quality of a service or a product they purchased, then they have a right to complain and express their dissatisfaction within moderation. If you manage to calm that customer down so he or she remains calm and civil, you will likely be able to assist with the grievances better. When that dissatisfaction boarders on frustration, anger can seep in. There will always be people who vent their frustration by resorting to verbal abuse, offensive language, ranger and insults. Sometimes it’s quite hard to deal with these type of customers and effectively defuse the situation. How can I defuse the situation? According to research undertaken at the University of British Columbia, Canada, studies suggest that employees who expect to encounter rude customers react less emotionally when confronted with them. On the other hand, employees who are customarily used to cordial relations with clients respond more actively and aggressively. Organisations should invest in training their staff to deal with adverse customer reactions and rude behaviour. Researchers recommend that organisations train their staff to deal effectively with angry customers, even when those customers are generally viewed as civil. Employees should deal with rude customers right at the time of the encounter, instead of trying to repair a damaged customer relationship after the event has occurred. What are the consequences of not dealing with a negative situation? The consequences of not preparing your employees could lead to lost business. You might also lose your employee as studies also cite customer incivility as one of the leading causes of work-related stress, emotional exhaustion, absenteeism from work, and reduced performance at work. If your employees react negatively towards your customers, that threatens your organisation’s reputation, adversely affecting your service and impacting customer retention. Facing a raging bull can be a daunting prospect, and suddenly yourself on the receiving end of a stream of abusive insults is an unpleasant situation. It’s hard to stay calm while dealing with a rude customer; nevertheless, you should never show your feelings or emotions to your customer. People get much more upset when confronted with another angry person. Remaining calm and respectful towards your client is not professional, but also in your own personal interest. Resist the urge to respond in kind. Taking a few deep breaths will undoubtedly help you calm down. If you do retaliate, you might be seen as the aggressor and further compound the situation. Never fight fire with fire, instead, remain calm, controlled and tactful, or you take the risk of inflaming the situation even more. Keeping your emotions entirely in check should defuse the encounter, and you can adopt techniques to control your emotions and feelings thereby presenting a more positive face in when challenging adverse circumstances. 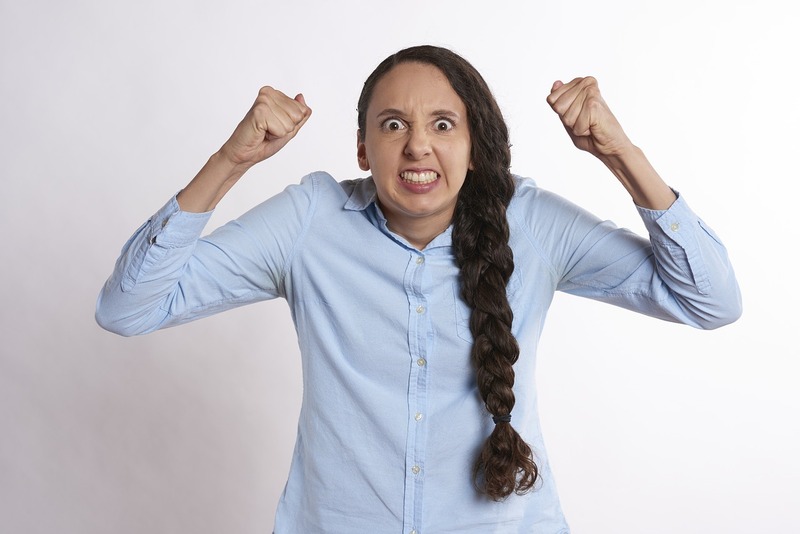 The chances are that your customer is pretty angry about a substandard service or product and you just happen to be the person at the receiving end. A dissatisfied customer needs to feel you understand the inconvenience suffered and you need to reassure the customer. Developing your emotional intelligence skills helps you control your own emotions and sense other people’s emotional needs as well. Despite any provocation, remember the customer doesn’t know you personally. That’s why you should never take it personally when a customer says you aren’t professional or your performance is awful. A simple apology goes a very long way in resolving a negative situation, and empathising with customers can heal wounds and repair professional relationships.